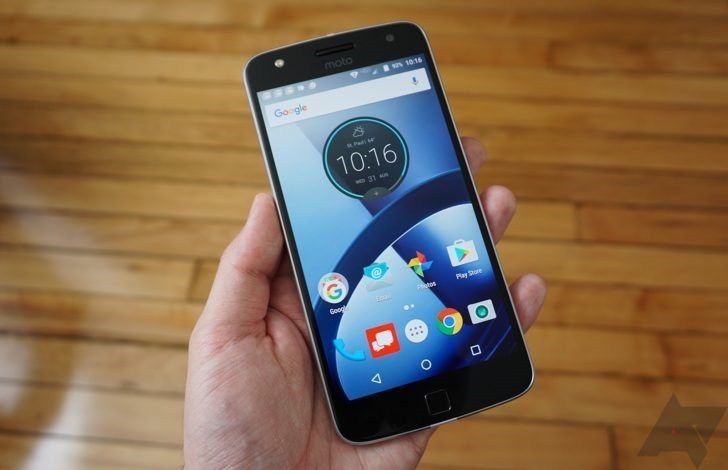 Lenovo-owned Motorola isn't always that fast when it comes to updating the OS of its older phones. 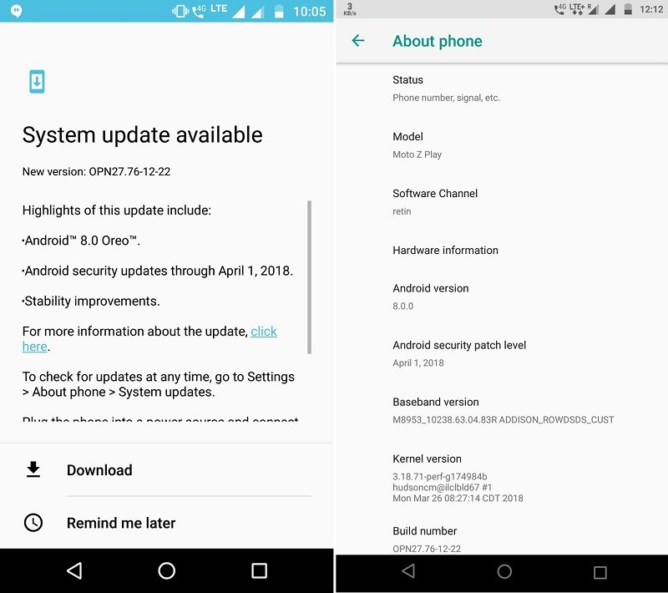 It took a critical post from us late last year to get the company to honor its promise of releasing an 8.0 Oreo update for the Moto G4, for example. The Moto Mod-compatible Z Play from 2016 received Android 7.1.1 Nougat last summer, and now it's finally getting Oreo. We learned in September 2017 that the Z Play would be updated to Oreo, and a short 7 months later users in India are beginning to see OTAs on their devices. The build number is OPN27.76-12-22 and the update is about 1.12GB in size. There's no official changelog as of yet, but you can expect Oreo improvements such as picture-in-picture mode, notification channels, and adaptive icons. The update also includes the latest security patch, dated April 1st 2018. The rollout will be staged so it could take a few days for users in India to receive the update. If you're tired of waiting you can always try hammering the 'Check for updates' button and see if that works. It should now be a matter of time before other regions start seeing the same release.